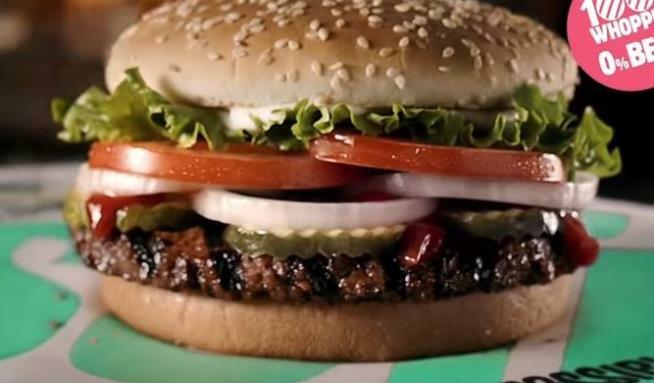 (Newser) – If Burger King wanted good advertising for its meatless Impossible Whopper, it has arrived via an unlikely source—a review by an official with the Missouri Farm Bureau. In other words, a meat lobbyist, per the Guardian. Eric Bohl wrote that he tried the plant-based burger, available for now only in the St. Louis area, and seemed surprised and disappointed to declare, "If I didn’t know what I was eating, I would have no idea it was not beef." But this isn't just a food review—it's a warning to those in his industry. "If farmers and ranchers think we can mock and dismiss these products as a passing fad, we're kidding ourselves," he writes. "This is not just another disgusting tofu burger that only a dedicated hippie could convince himself to eat." "...that meat is "nutritionally superior. ""- Eric Bohl Only until the vege burger people say, hey we can garner more sales if we fortify them with vitamins and other nutrition and boost it past what you can get in real beef. After that it's a price/commodity game and real beef will lose. I tried this at TGIF. Imagine a patty that is 90/10 meat to fat, seasoned and cooked medium. When you add sauces, cheese and toppings, its pretty convincing. (It was still a little red inside from the beets added to it.) But, the one thing that will keep this from taking off is the price. At retail, its twice the price of real meat. I thought "Impossible Whopper" meant it was impossible to eat.